Curious about mindfulness and whether it might help you? 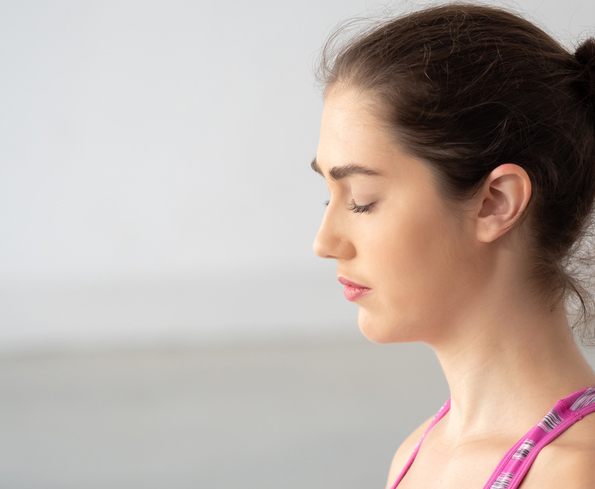 Read about three simple yet powerful mindfulness exercises and how they can aid a wide range of physical and mental health conditions. Mindfulness can provide both mental and physical benefits. The mindfulness exercises described here can be practiced practically anywhere and at any time. The practice of mindfulness—an essential part of Buddhist meditation—has become increasingly popular in Western society in recent years. Essentially, mindfulness is the ability to stay present in the moment without the intrusion of unwanted thoughts while being able to construct thoughts that are non-judgmental. Mindfulness and mindfulness exercises have been attributed to relieving stress, and have been studied across numerous academic platforms. In fact, mindfulness is now often referred to as mindfulness-based stress reduction (MBSR). To be mindful, you need to consciously avoid worrying about problems that have occurred in the past as well as problems you might face in the future. Mindfulness is a way of concentrating on where your focus is—being aware of what you are experiencing “right now” without having your thoughts wander off. With mindfulness exercises, you can help develop your ability to stay “present” over time. Proponents point to mindfulness as a practice that benefits both mental and physical health. Interestingly, the practice of mindfulness has been attributed as a form of cognitive behavioral therapy (CBT), which is a way to retrain the brain in order to cope with illness or difficult circumstances—most notably, trauma and post-traumatic stress disorder (PTSD), depression, addiction, and even cancer. If you’ve never tried mindfulness, it can be hard to be present in the moment. For example, when a friend or family member tells you a story, you might start thinking about what other tasks you need to do later in the day—finishing a work project, for example. You might begin to worry. That’s where your mind wanders and you need to refocus. To be mindful and present in the moment, you need to focus on your friend’s story with your full attention, and push all other thoughts aside for consideration at a later time. This invaluable skill can provide you with a sense of calm and inner peace. It’s all about paying attention to what you’re experiencing with your senses. If you’d like be more present for yourself and loved ones in your busy life—and enjoy the health benefits at the same time—try practicing these three simple yet powerful mindfulness exercises once or more each day. All are common practices because they’re capable of being completed almost anywhere and at any time. Studies have shown that people who suffer from mental illness (depression, for example) have a much harder time focusing their breathing. This is one reason why mindful breathing is one of the most common mindfulness exercises. One way to breathe mindfully is to breathe in through your nose, and out through your mouth, slowly. Each breath cycle should last for approximately six seconds, and counting can help. As you exhale, release obligations and worries from your mind. Focus on your breaths and pay attention to what you hear and feel (such as the movements of your chest). This will help with anxiety and depression while contributing to a truly mindful life. By completing these breathing exercises during times of stress, one is able to center themselves and return to the moment. To listen mindfully is to focus on the physical act of hearing, as opposed to listening to some sort of content. One of the key points of being mindful is being actively aware of the present moment and surroundings. Therefore, listening intently by taking in various sounds is key in the practice of listening mindfully. The process of listening mindfully entails recognizing noises as mere vibrations. When you listen to music, instead of judging it and using evaluative language such as “good” or “bad,” try concentrating on the dynamics of the instruments, or try to focus on the story a song tells. By not getting caught up in the content of the noises, you can stay focused in the present moment while still being aware of your surroundings. You might find that waking up to the chirping of birds—simply staying still and listening to their unique sounds—is another great approach to this exercise. You can experience it on nature walks, too, or during bird-watching hikes. We’re so routinely distracted by technology, social media, and our modern world that we miss a lot of what’s happening around us. Observation is key to living a mindful life; it’s nearly impossible to be aware of your situation and surroundings if you’re not actively observing. Mindfulness accounts for a shift from naturalistic observation to participant observation. All too often, humans aren’t appreciative of regular day-to-day moments and instead tend to live life on autopilot. To learn to see each moment as an individual experience helps create a more authentic and meaningful life. This type of observation mindfulness takes continuous practice. Having a focal point to observe helps build concentration. This can help to combat anxieties by providing a greater sense of control. The exercise is designed to connect us with the beauty of the natural environment, something that is easily missed when we are rushing around in the car or hopping on and off trains on the way to work. Try selecting an item from nature in your garden or at a park and watch it for a minute or two. It could be an insect or a plant, for example. Simply focus on looking at it and all of its characteristics. Mindfulness exercises allow us to unplug and reconnect with what is real. anxiety, anxiety and depression, brain, breathing exercises, cancer, cognitive behavioral therapy, depression, exercise, health, hearing, help with anxiety, meditation, mental illness, mindfulness, music, post traumatic stress disorder, ptsd, stress, stress reduction.